Performance – Amongst keen drivers, we look for 3 main ingredients to make up a good sports car. Engine in the front, a manual transmission in the middle, and rear wheel drive with a limited slip differential in the back. 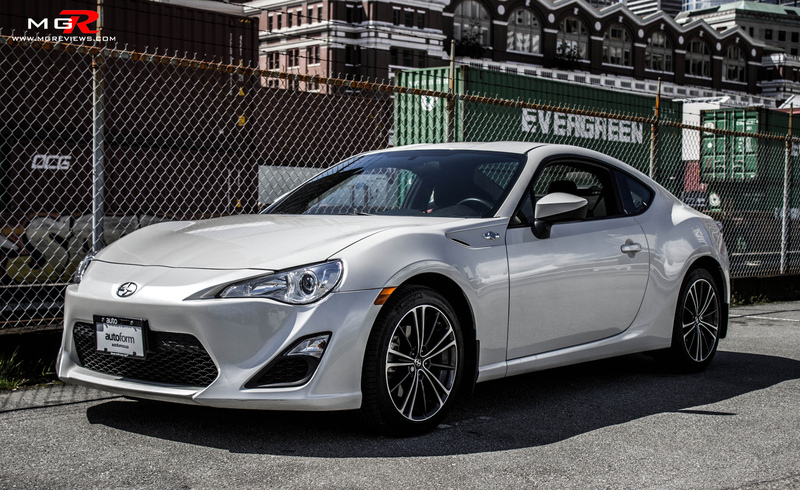 Right off the bat, the Scion FRS checks those boxes off. 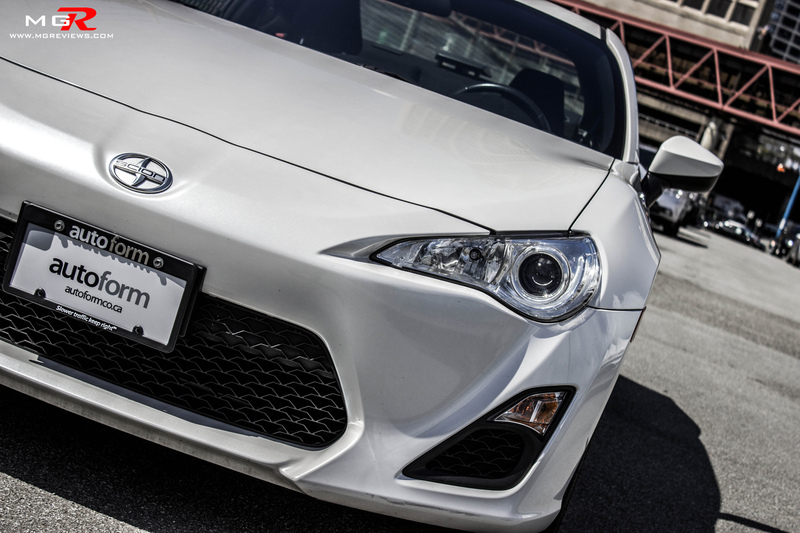 While there are other sports cars with that same layout such as the BMW M3, Nissan 370Z, Ford Mustang, and Hyundai Genesis Coupe that offer exceptional handling and straight line performance, Toyota’s engineers decided to give the FRS a very different type of driving characteristic. Starting from the front with the engine, it is a flat-4 boxer engine that was developed in conjunction with Subaru. It displaces 2.0L and produces a modest 200hp and a low 151 lb-ft of torque. 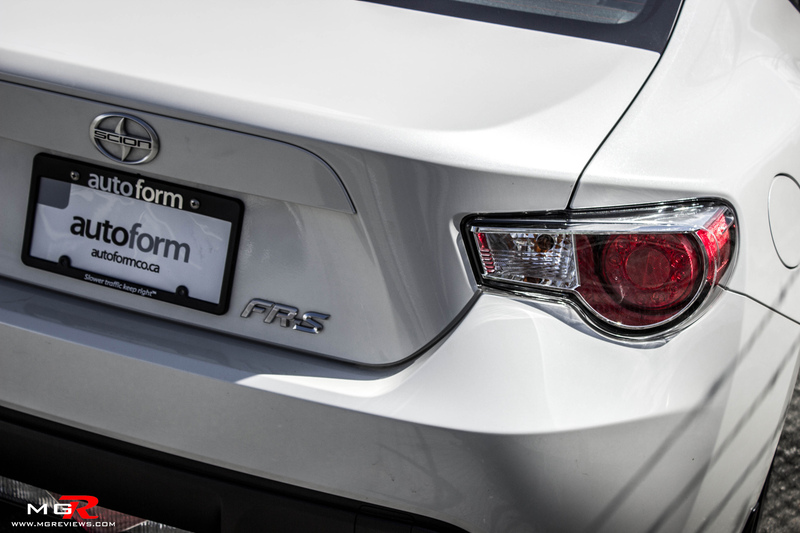 With performance figures like that, it would take a miracle for the FRS to beat any other sports car around a race track or at a drag strip. The engine’s lack of torque is very noticeable when setting off. 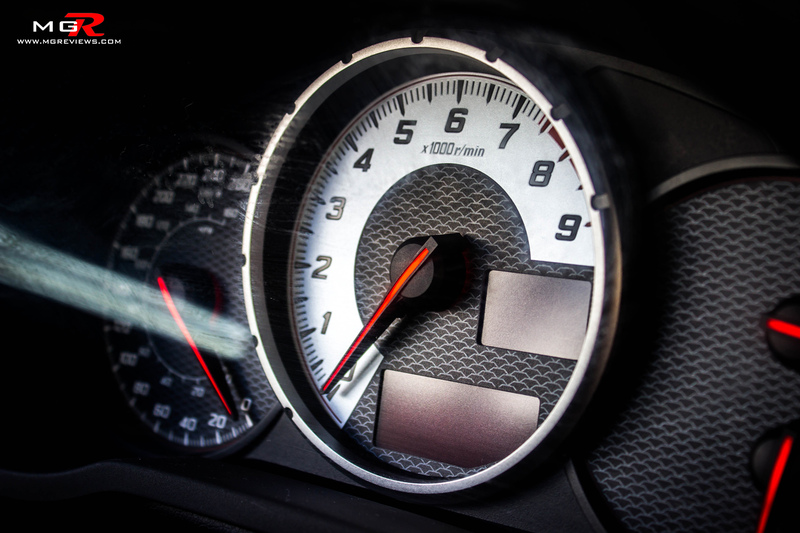 The engine has to rev beyond 3000rpms for you to get any feeling of acceleration. 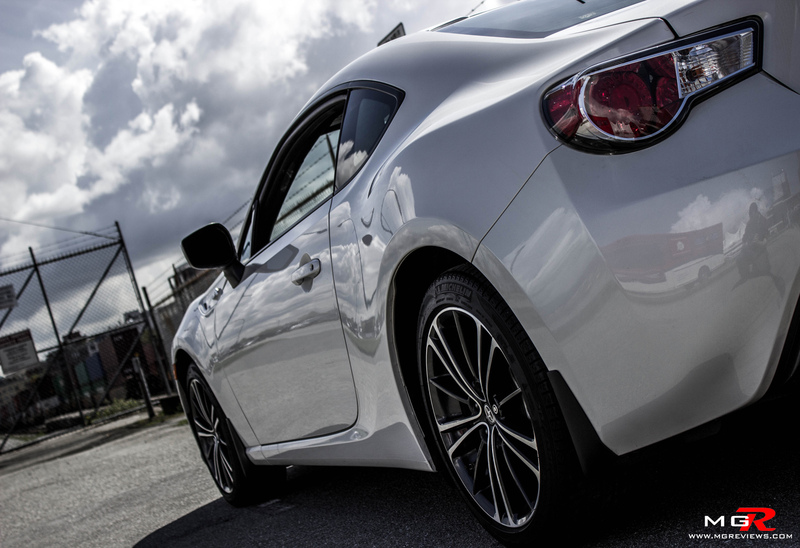 If you’re the sort of person who likes the smell of burning rubber and accelerating hard onto highway on ramps, then the FRS is not for you. Might I suggest the BMW M3 or the Corvette Z06? 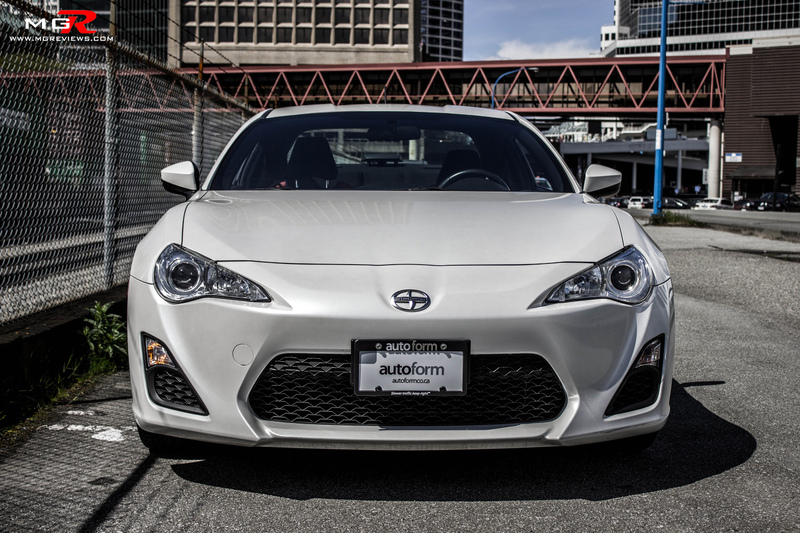 Despite the engine’s less than stellar performance, its low center of gravity coupled with the sublime chassis means that the FRS is a lot of fun to drive around corners and that is what the engineers were after when designing this car. Drifting this car is as easy as reading a book. It can be done at speeds as slow as 60km/h and it is very easy to hold a drift without spinning out (provided there is enough space and on a closed circuit). The steering is direct, precise, and well weighted to give the driver excellent feedback as to what the front wheels are doing. 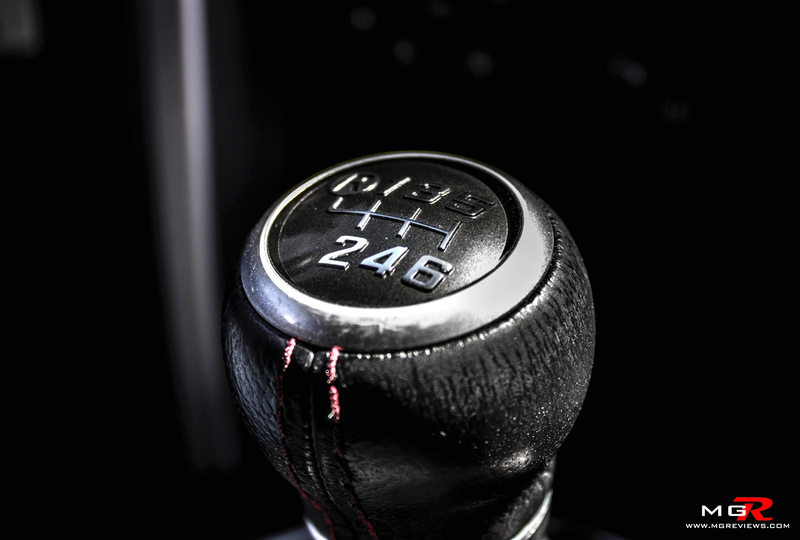 The slick shifting 6-speed manual transmission is a lot of fun to play with and the Torsen limited slip differential further aids in making this car so much fun to drive around corners. 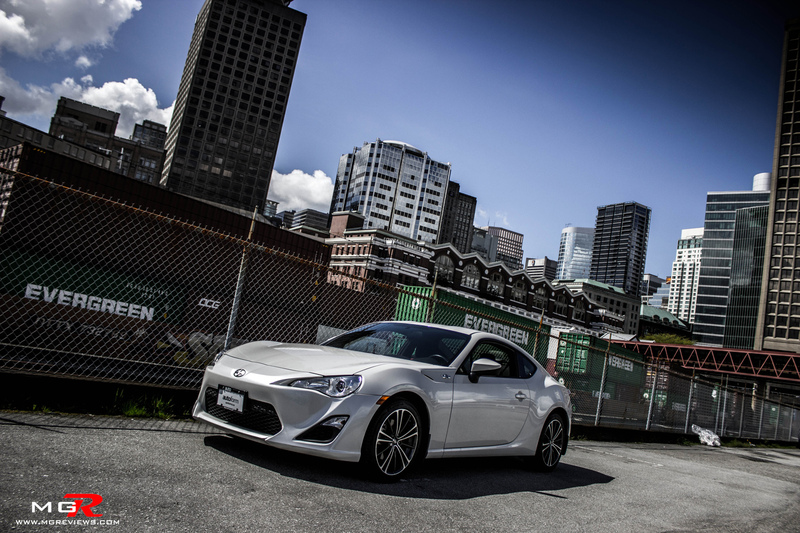 For sheer driving fun, there is no other car under $27,000 CAD that can match the FRS. Comfort – Sports cars tend to have stiffer suspension that is meant for cornering stability which compromises the ride comfort. 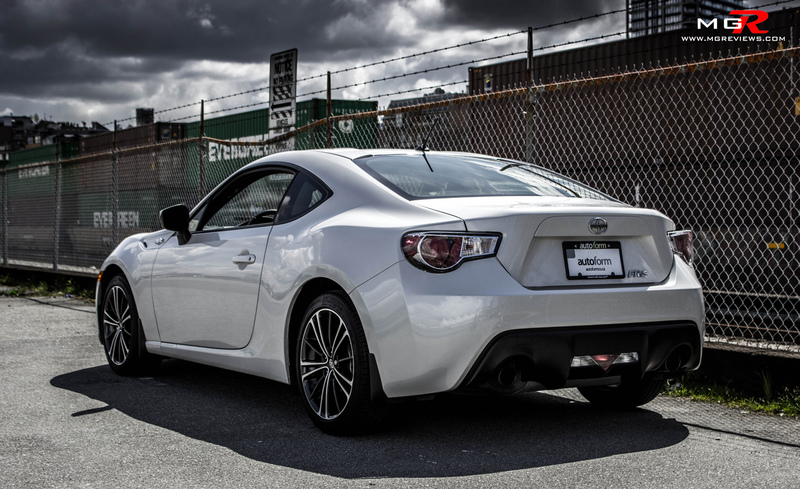 But the Scion FRS still manages to be good at cornering and provide a sufficient ride quality on city streets. The front seats were made with extra bolstering to keep you firmly planted when going around corners but the same can’t be said about the back seats. While this car has 1 2+2 configuration, there is no leg or head room in the back so it’s best to just leave the back seats folded down to further lower the center of gravity, even if it is by just 0.1%. 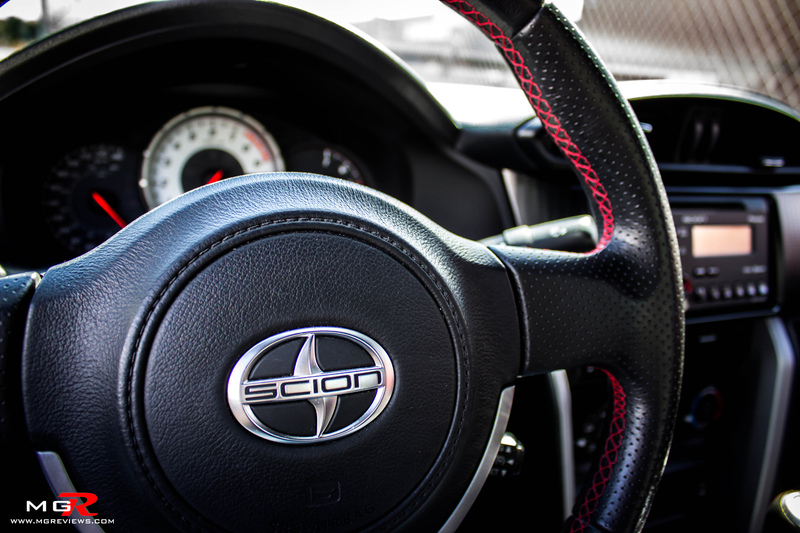 The interior aesthetics of the FRS are disappointing and not what you’d expect from a car coasting almost $27,000 CAD. Hyundai made the similarly priced Genesis Coupe have a premium design inside the cabin and even the less expensive Veloster looks better in the cabin whereas the FRS looks minimalistic to say the least. 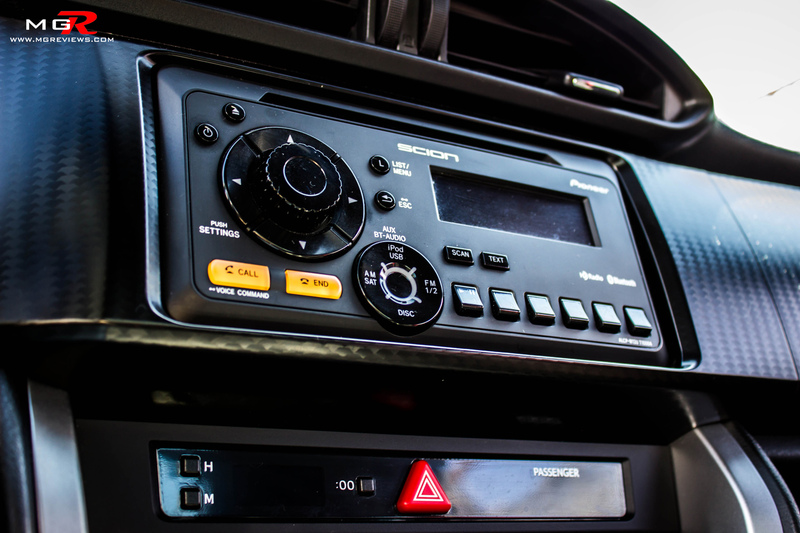 Although there is a nice contrasting tachometer directly in front of the driver, the radio and the heater/cooler controls look like they’re from the AE86 from 1987 off of which this car is based on. 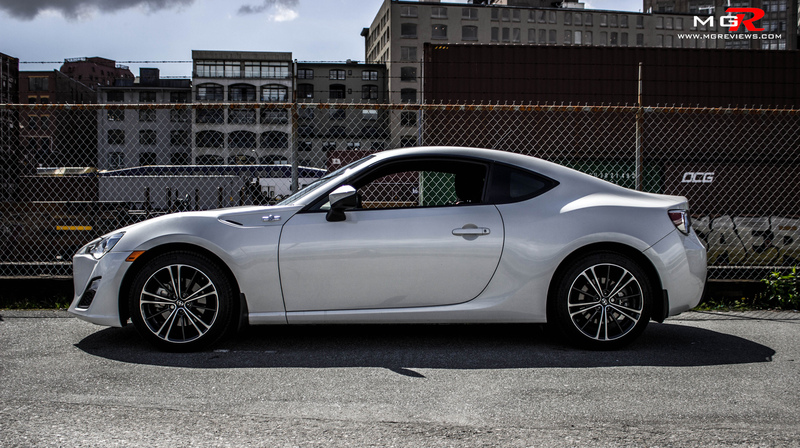 Odds and Ends – Another reason why the FRS is such a hit among gearheads is because of the amount of aftermarket support for the car. 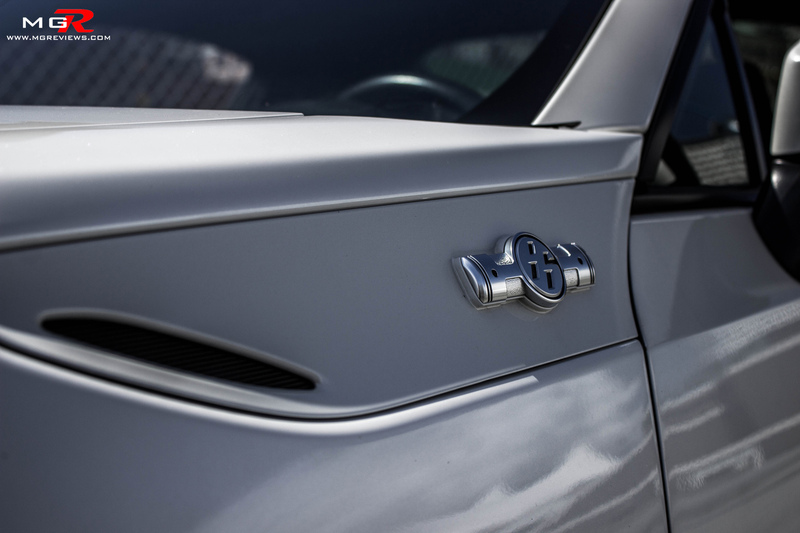 Nearly every aspect of the car can be changed and customized to suit the owner’s preference. There are turbocharger kits, supercharger kits, engine swaps, countless exhaust systems, limitless suspension options, and body kits that can make a Mercedes-Benz C63 AMG Black Series look tame in comparison. From the thousands of FRSs that have been sold, very few look and perform like they did when they were being made in the factory. This is not a car to set a new lap record around a track like Laguna Seca nor is it a 10 second drag racer. 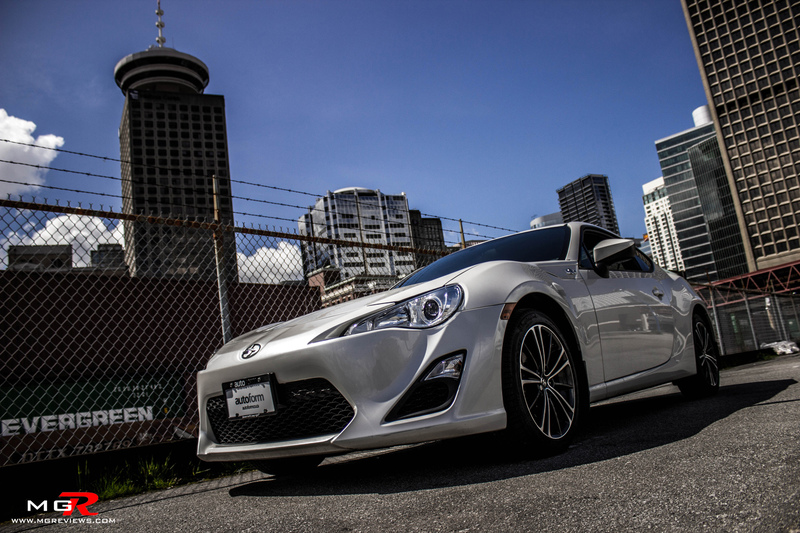 The Scion FRS is a car that’s only purpose is to put a smile on your face. Thank you to Autoform Performance Inc. for providing the vehicle.